While customer experience management and design is one of the fastest developing IT sectors in Australia and around the world, it isn’t well known - and very few experts are women. But Katja Forbes wants to change all of that. Considered an an Australian pioneer in the field of experience management and design, given her active role in education, mentoring and business, Forbes wants to boost the industry profile, inspire companies to pursue the art of user experience and design, and encourage other women to get passionate about designing customer needs. While initially cutting her teeth as a journalist, Forbes has worked around the globe in the UK, Japan, India and China for consultancies, digital agencies and for companies including Yahoo and Thomson Reuters. She has honed her skills in the area of human-centred design and design thinking, which approaches problem solving in a holistic and comprehensive manner. As a guest lecturer and studio tutor in the USyd design lab, she supervises students undertaking a Bachelor of Design Computing and helps guide their individual projects. She also teaches design thinking, usability testing, inclusive design and other user experience techniques to students of Architecture and Design Computing at both undergraduate and post-graduate level. 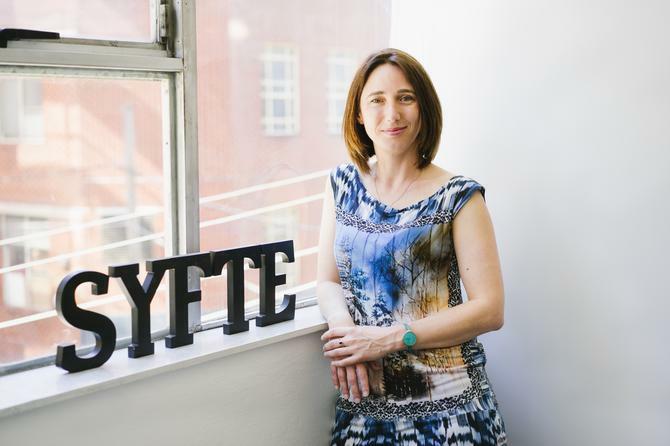 In an exclusive interview with CMO, Forbes, who founded syfte, a specialist business in research and experience design in 2012, discussed the state of the industry, where it’s heading, and how businesses can make the most of the platforms and concept with their own customer relationships. CMO: What is customer experience management? It is a really exciting field to be working in. Customer experience, experience design or user experience is a blend of psychology, cognitive sciences, anthropology, understanding humans and bringing that human factor - the graphic design, the industrial design - together. It involves looking at things through that human centred lens, figuring out what is going on for the human beings who you are trying to deliver a product or service to, and then designing things to be frictionless, to be delightful. It involves delivering what the person needs, rather than what the business objectives might dictate that they choose. Service design is going to get a lot of traction and companies need to be paying attention. It is the thinking behind all the customer actions that happen in a particular journey and interaction with the company. It looks at the employee actions and the underlying processes and staff actions that have to happen that the customers never see, and then holistically and consistently designing that entire experience. CMO: Is it a growing discipline? Ten years ago, my job didn’t really exist or at least it had less clear definitions. No one knew what roles such as information architect were about. It has been a massively growing and burgeoning are, as people understand that the tools and techniques you use in design can be applied to every kind of problem, and every kind of business. More and more businesses are seeking to choose to direct themselves in a particular way, more around the human beings who work for them, and the human beings who they are trying to sell their products and services to, rather than looking solely at the bottom line, or at gaining efficiencies or more business focused objectives. CMO: Are you mixing your world with those in the marketing realm? We work in harmony with marketing. They are complementary skillsets and you have to bring all of that together to achieve success, but we do look at things through different lenses. There is a difference between marketing and customer experience design. Marketing seeks to understand people by the way of segments and to predict that behaviour and to generate the demand for products and services by using those sorts of predictive techniques. A lot of marketing is very quantitative in terms of sizing markets and looking where the demand actually sits. Experience design and customer experience is very behaviour orientated. We do a lot of research to understand human behaviour - and this is where anthropology comes into it - and human behaviour where it intersects with technology. Human behaviour where it intersects with physical space, and human behaviour where you try to make technology and physical space and the digital space all come together. Because we are very behaviour orientated (and designing for that), the psychology aspect of it is a lot stronger than it is in the marketing sector. It’s more human-focused, rather than looking at how we can create market demand, or what’s the right way to position a product or service to get the right market take up. CMO: Can you highlight an example of a company that’s really adopting customer experience in the local market? I had the great opportunity to work with Commonwealth Bank. It is one of the leading organisations in customer experience. When I got there, there was almost no experience design. It was very basic. In the six years I've worked with them, I’ve seen that company go from strength to strength and really adopt true customer experience principles and run their projects in a deeply connected human-centred way. Working within the Online Solutions group, in the User Experience and Design (UXD) team, I primarily focused on understanding and designing for customer needs through research, formulating user personas and journeys, creating intuitive navigation and functionality for CBA Netbank as well as other sites including web, mobile and touch applications. I also have a strong focus on accessibility and inclusive design. CMO: What are some other notable local projects you have worked on? The most recent projects I worked on within CBA was a very large research piece, where we had a look at what their self-service offering needed to be. When I talk about self-service, it is about encouraging people to use their ATMs, and their intelligent deposit machines. As part of that, we did over 200 customer service observations, and 100 staff observations in branches all up and down the eastern seaboard. We were in uniform and we were watching to see how staff interacted with customers, using all sorts of different technologies - their iPads, the screens - and how they also interacted with the ATMs and intelligent deposit machines. It was about identifying where was the friction in the experience of people coming into a branch and choosing to line up for a teller, rather than choosing to use a machine that would do something for them a lot faster. We’re currently working with Qantas on its digital offerings and some product offerings. We are also working with Transport for NSW, trying to help take a massive amount of content and figure out where it all belongs and who the right audience is for it. We are about to embark on another gigantic research piece for that as well. CMO: What inspires you about this space? I have the license to look under the hood of pretty much everything and figure out how it works and all of the intricacies and things that people never see. In doing that, it has given me the opportunity to find ways to make things better for people. My job is to make a difference. What are the research findings telling me about the difference that I can make for this organisation. How can I bring my techniques and tools to bear so they can make it better for the human beings that work for them, and better for those who are using the products and services.